Honorary Consulate of Switzerland in Bandar Seri Begawan, Brunei located at 6th Floor, Bangunan Haji Ahmad, Laksamana Othman, 38-39 Jalan Sultan. View address, telephone numbers, fax, email and hours of operation below. 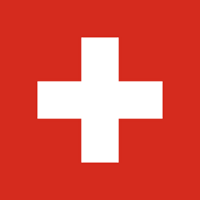 Please call Honorary Consulate of Switzerland in Bandar Seri Begawan, Brunei at +673 223 29 45 to find out current hours of operation and other details. This page was last edited on 13 September 2018, at 05:07 AM (EST).